Warning: this video will make your mouth water (you may want to grab a snack before watching). 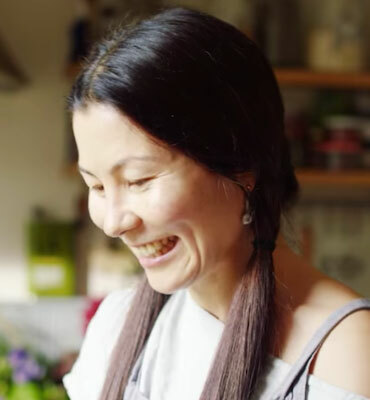 Sara Kiyo Popowa aka Shiso Delicious invites us into her kitchen, where she’s taking a time-lapse video for her blog using the HUAWEI P10. Sara’s food is literally a rainbow on a plate so capturing the vibrant colours and delicate textures of her food is key. That’s why Sara uses the HUAWEI P10 for her time-lapse, showing us how to get great results with just a smartphone and a tripod. The time-lapse is taken in Sara’s kitchen. The natural light streaming in through the window is all that’s needed for blog-worthy results, no lighting rig necessary. That’s because the HUAWEI P10’s camera, co-engineered with camera legends Leica, features a wide 2.2/f aperture lens that captures more light, and therefore, more detail. Sara’s food photography has a really distinctive look and feel, and it’s inspiring to see how simple it is for her to get perfect shots at the touch of a button. After filming the time-lapse Sara sets the scene by laying out her sumptuous food on the garden table. Decorated with lovely blooms and dappled in late afternoon sunlight, it’s a picture perfect scene. 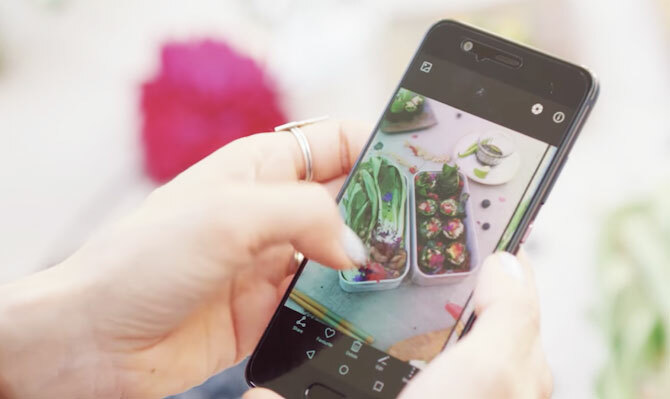 Sara demonstrates how to use the Good Food setting to get bright crisp shots for her Instagram feed. The Wide Aperture setting is another favourite of Sara’s. It keeps her food in sharp focus while softening the background of the image, giving the viewer a natural focal point. Easy to use editing features allow Sara to fine tune her images and upload in seconds to social media. “And that”, says Sara, “is the power of a great photo”. Super tips whether you’re into food photography or simply want to share a snap of your frothy cappuccino. The HUAWEI P10’s Leica Dual Camera carries two SUMMARIT-H lenses with a 2.2/f aperture. Coupled with its 20MP+12MP sensors and Optical Image Stabilisation it basically means professional grade photography at your fingertips. For Sara, food is about flavour, interest, fun and colour. I’m sure her 83,000 Instagram followers agree; Sara’s amazing food creations deserve to be photographed in style.